Atlanta (April 8, 2017) A 3-year-old mountain gorilla named Fasha is recovering from stress and injury after being found on Thursday trapped in a poacher’s snare. 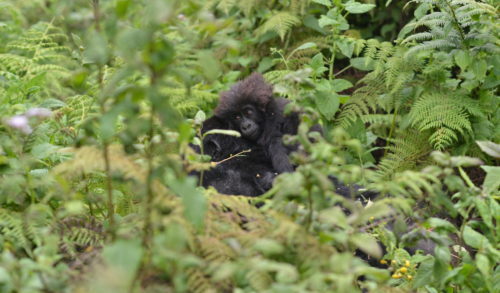 Trackers with the Dian Fossey Gorilla Fund, who monitor his family group in Rwanda daily, noticed on Thursday that the youngster was missing and immediately set out to find him. The trackers quickly found a deactivated snare nearby and then found Fasha with a long piece of rope around his ankle attached to a bamboo branch. 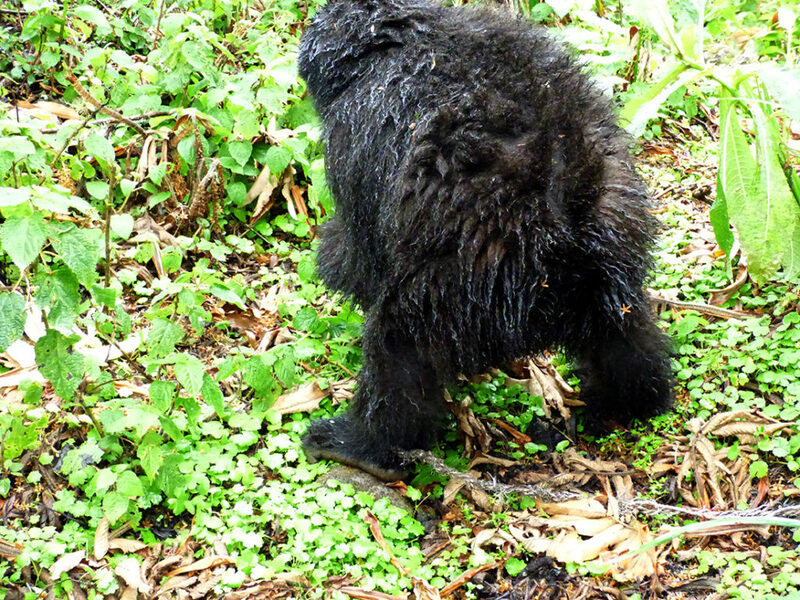 Despite the frequent occurrence of snares – the Dian Fossey Gorilla Fund works with the Rwandan park authorities to remove between 700 and 1,000 snares each year – this is the first time a gorilla has been caught in a snare since late 2015. 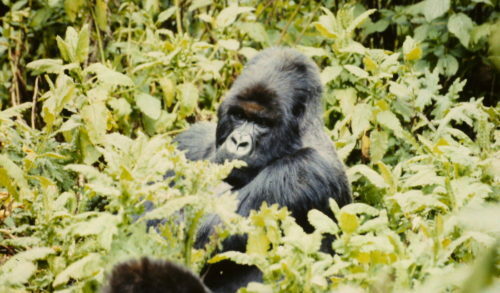 The Fossey Fund trackers were able to detach the branch, but the rope was wound tightly around his foot causing injury. This meant that a veterinary intervention would be necessary to have the rope removed, which requires sedation. 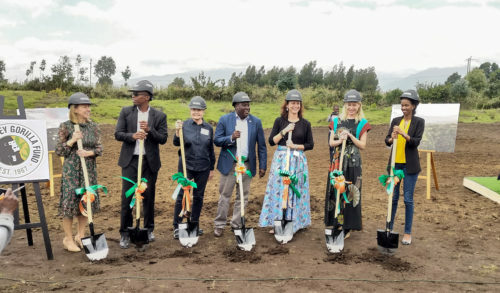 On Friday the intervention was conducted by Gorilla Doctors veterinarians with nine Fossey Fund staff and Rwandan park authorities (RDB). When the trackers arrived at the group, this morning they found Fasha and others still in their night nests. When Fasha fell asleep after being sedated with a dart, the trackers worked to keep the other gorillas away while the veterinarians treated Fasha. The rope had become very tight on Fasha’s now-swollen left ankle, showing that he or other gorillas had tried to remove it, and he’d also lost a few teeth, probably while trying to bite the snare off. But the rope was successfully removed, the wound cleaned and antibiotics given, all within about 30 minutes. After resting for a short while, Fasha started moving with the group and all were feeding calmly. The Fossey Fund’s gorilla trackers and researchers play a critical role in this kind of situation. Their daily monitoring of every gorilla provides them the ability to act quickly and make experienced decisions in handling situations of this nature. If the trackers had not noticed Fasha was missing, had not been able to locate him, and had not made sure he returned to his group, it is likely the outcome would have been much more serious. 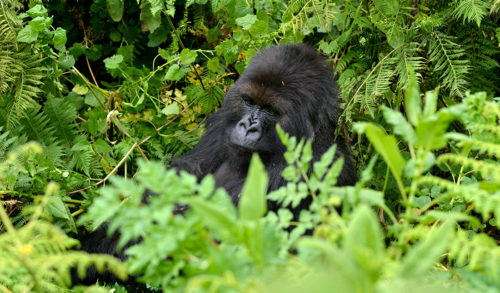 The Dian Fossey Gorilla Fund operates the longest-running gorilla field research site in the world. Direct, sustained protection of animals in the wild is the most effective conservation strategy. This is the foundation of the Fossey Fund’s work and the primary reason mountain gorillas are the only wild ape whose population is growing. 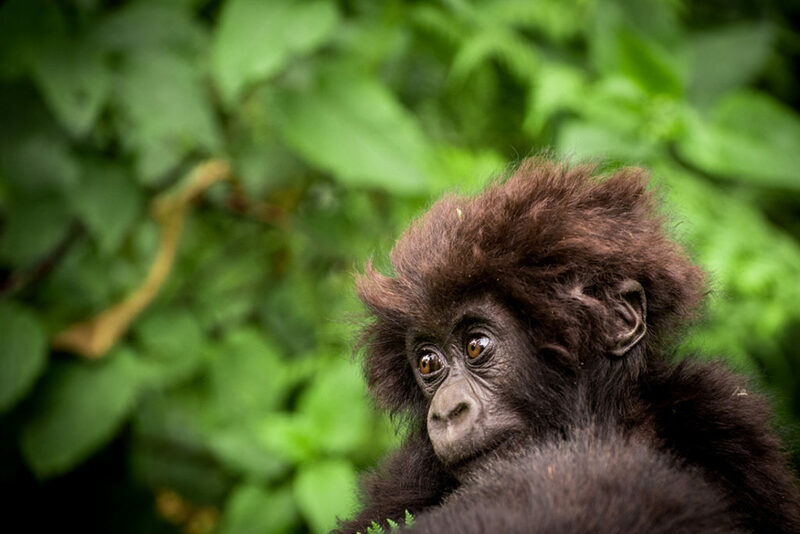 The Fossey Fund is a 501(c)3 non-profit charity. It is thanks to the support of donors that they are able to provide this kind of daily, intensive protection of all the gorillas they monitor. Learn more, and consider a donation at gorillafund.org.